Seller Tiffner assumes all responsibility for the listing and deleting of this ad. 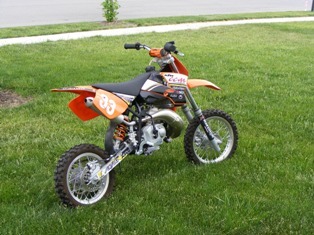 2007 KTM 50sx never raced great bike for the little racers must sell asking $1500 OBO. Tiffner: You may EDIT your ad Description, or Delete your ad.